Last week's dinner were all so delicious, the only thing I didn't get around to making was the Sesame Chicken Salad. I ended up just using the chicken to make something else, so it all worked out in the end. 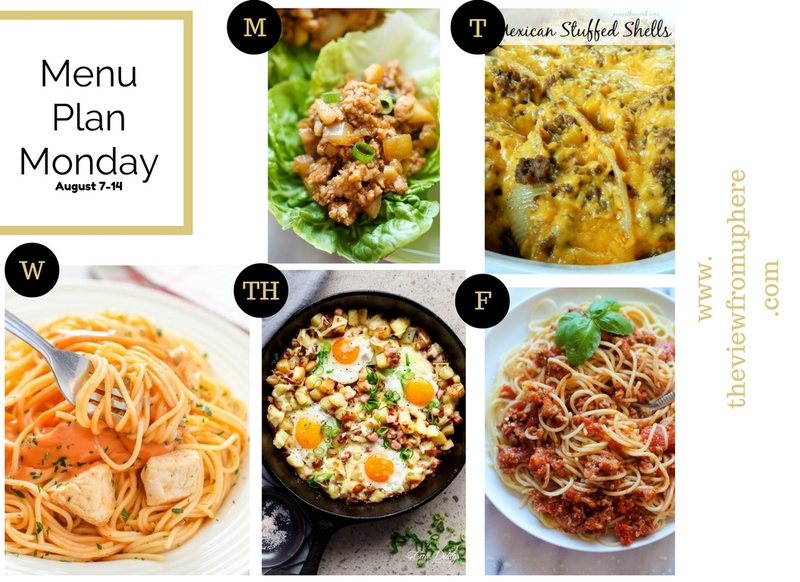 This week I skipped Plated since nothing fit my pregnant palate. (Ya'll it's tough being pregnant, one night you might want something--the next it's an entirely different cuisine. This week is a busy week--we start back to school on Thursday morning. I am so excited to be sending Bennett to school and I know he will love it. We also have his birthday party on Saturday, and his birthday will be celebrated with family on Sunday. I can't believe he turns two on Sunday, I am currently in disbelief mode. 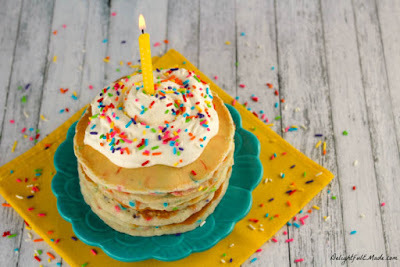 I will however be making the above pancakes for breakfast, so therefore bring on the second birthday! M- PF Changs Lettuce Wraps T- Mexican Stuffed Shells W-Bang Bang Chicken Pasta TH- Cheesy Bacon and Egg Hash F-Slow Cooker Spaghetti One thing is for sure--is that Egg Hash might not make it to Thursday. What are you making this week? oh my goodness that MExican stuffed shells is going on my menu rotation!